Pretoria, 26 February 2016 - Land Rover today helped Virgin Group founder Sir Richard Branson unveil Virgin Galactic's new SpaceShipTwo at a special reveal and naming ceremony at their Mojave Air and Space Port base in California, USA. Announced in April 2014, the tow-out of VSS Unity by a Range Rover Autobiography marks the latest milestone in the partnership between the two pioneering brands; a partnership based around a strong British heritage and a true spirit of adventure, but underpinned by a desire to push the boundaries of technical innovation. "Since our partnership began in April 2014, Land Rover has become an integral part of the team's day to day operating environment in Mojave," said Stephen Attenborough, Commercial Director at Virgin Galactic. 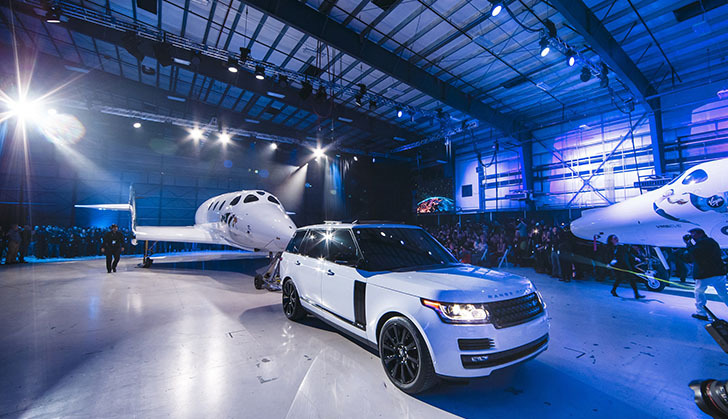 "Therefore it was fitting that the Range Rover Autobiography took a staring role in today's events as our new SpaceShipTwo, Unity, made its global debut. We're looking forward to more collaborations across the business including STEM programmes as well as engineering, design and product initiatives." 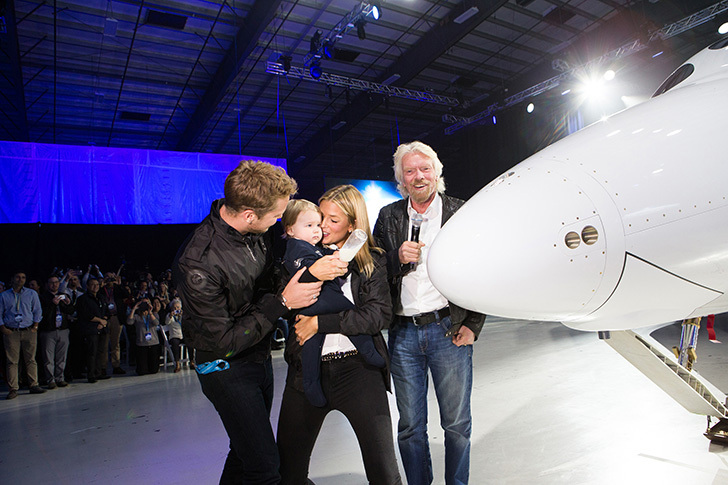 "This is a significant milestone for Virgin Galactic, and we are proud to be part of it. Helping the team unveil the new SpaceShipTwo not only reflects our supporting role in the Virgin Galactic programme, but it was also an impressive display of the Range Rover's towing capability," said Mark Cameron, Global Brand Experience Director at Land Rover. "But we have partnered with Virgin Galactic for many more reasons than simply providing and promoting a fantastic range of SUVs. We share the same long-term vision to invest in innovative design and technology to help us go further and achieve more. Not simply to enable mankind to explore, but to develop this partnership to inspire others.From our tens of thousands of employees and customers to schools and colleges, motivating more young people to pursue careers in engineering, science and technology - and explore new ways of travelling for future generations. This is a very special match of brands based around a shared vision." Both Land Rover and Virgin Galactic run significant and highly regarded community relations and STEM education programmes, which encourage young people to aspire to a future in science, technology, engineering and mathematics. 2015 marked the 21st anniversary of the Range Rover Autobiography, the pinnacle of the Range Rover model line-up. Across two decades Autobiography has denoted the ultimate combination of Land Rover design, capability, luxury and luxury, adapting with changing customer tastes and preferences to remain a benchmark in the premium SUV market.